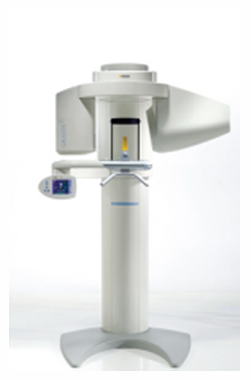 The 3D imaging scanner allows dentists to diagnose from accurate, undistorted, one-to-one images. This state-of-the-art imaging system provides quick, comfortable and effective dental imaging for the most precise dental health diagnosis possible. 3D Imaging offers us the ability to enhance treatment planning, and obtain more consistent patient outcomes. Beyond the clinical aspects, 3D Imaging is also a wonderful patient education tool. For the first time patients can see their anatomy in accurate real-life perspectives that allows them to understand their own oral health. This improved comprehension leads to greater communication between the doctor and patient and the best part is that our patients just sit back, relax and 14 seconds later the scan is complete. The imaging software does it all, any view we need from a single scan. We can also use the scan for treatment planning, implant planning, and surgical guides, therefore, eliminating any surprises when we proceed with your treatment.